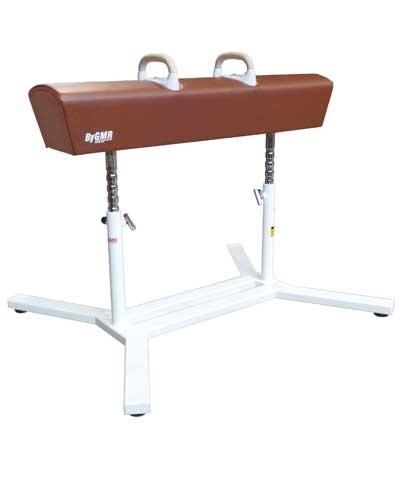 In 1978, By GMR developed the first pommel horse training MUSHROOM® in the USA. Use The MUSHROOM® carefully and consistently in early training and it will almost guarantee a competent pommel horse worker in the years to come. We are proud to announce the introduction of our newest MUSHROOM® model. The Basic MUSHROOM® head is constructed of royal blue 100% self skinning foam, which will help prevent microtrauma to the gymnast's wrists and elbows. The working surface is textured to provide a non-slip surface. The MUSHROOM® base is a white high density polyethylene plastic and has hand cut outs for easy portability. The base stands 15" tall. The MUSHROOM® head is 24" in diameter as specified for U.S.A.G. competition. 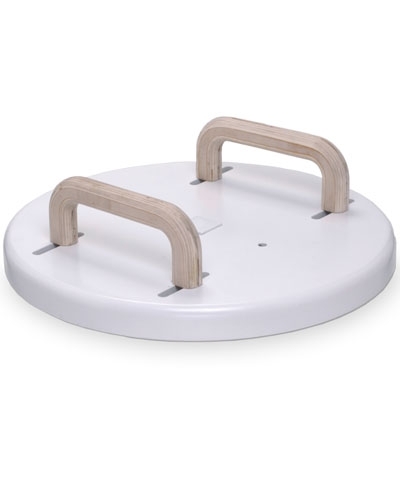 The 5" tall MUSHROOM® head attaches easily to the base with a tightening knob or can be used separately from the base for floor circles. 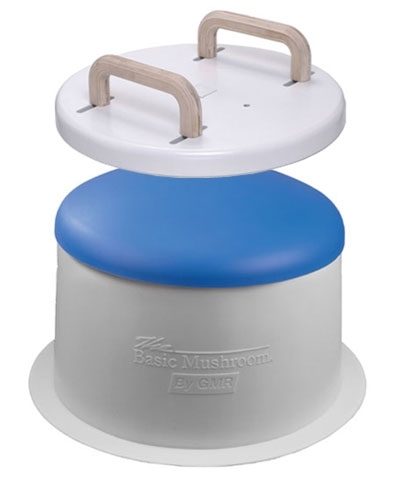 The total height of the MUSHROOM® and base is 20" and the weight is 25 lbs. The MUSHROOM® is a registered trademark of GMR Gymnastics Sales, Inc. 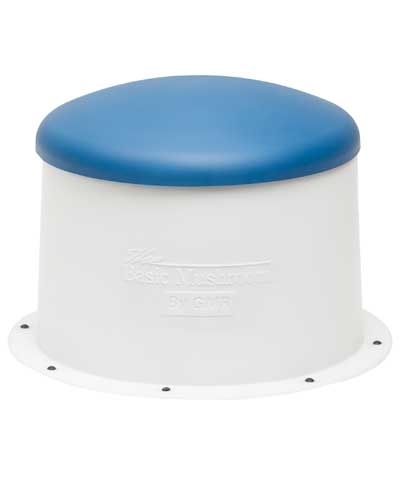 The MUSHROOM® is also known as a training pod, ultra dome and toadstool. An additional freight charge of $65.00 each will be added to your order.